Samsung’s Galaxy S and Galaxy Note smartphones get bigger with each new generation, though other than that the overall designed hasn’t really changed. 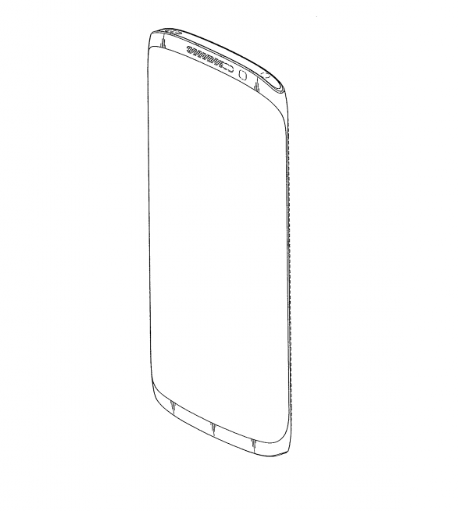 But it appears Samsung might finally be looking to shake things up, according to a recent design patent spotted by Sammy Today. As you can see, the design here is quite different that what we’ve grown accustomed to. For starters there is practically no bezel around the display. Given that bezels have generally become increasingly smaller over time, I wouldn’t be surprised to see them almost disappear completely on a new Samsung device. 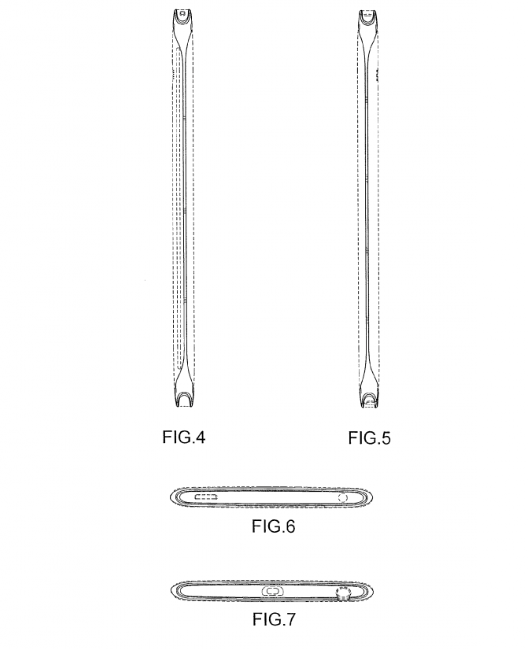 And these illustrations show no touch buttons, which would be a big change for Samsung. I actually find the overall shape reminiscent of the HTC One, or even more so the quickly forgotten HTC One X+. Earlier rumors have suggested that Samsung is finally planning to use metal for the Galaxy S 5 rather than plastic, and I can see that working here. And while it isn’t clear if this illustration is of the Galaxy S 5 or the Galaxy Note 4 (or something else entirely), it does appear to have an S Pen slot, which makes me think this is a new concept for a Note device. Either way, it’s nice to see something different, and I hope we see a new design like this from Samsung in the future.